As a family-centered home builder in Georgia and South Carolina, the Keystone team prides itself on building quality, homes. A new look and feel for Keystone Homes – as well as their sister-brand, Build On Your Land – has strengthened the company’s brand message, solidified the company’s reputable standing in the Southeast home builder market, and grown the company’s web of influence. Establish a living brand that will lead to increased Keystone Home sales. Improve brand recognition and awareness among local homebuyers. Rework the digital and in-person Keystone customer experience process. 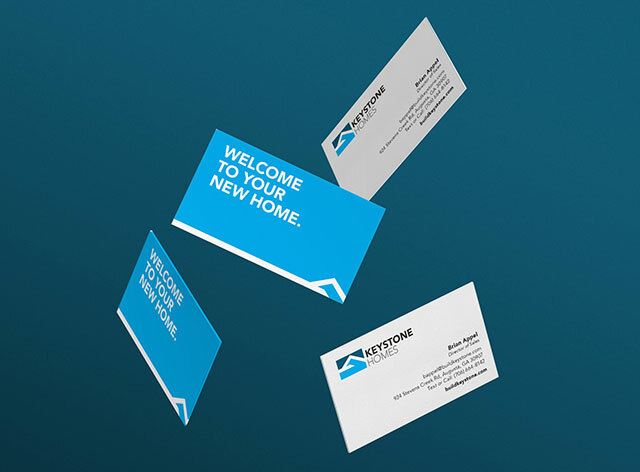 Through a new mantra––Find Your Place––and collateral displaying the company logo above the heads of Keystone residents, we were able to modernize the Keystone brand and allow a wider, younger demographic to feel more connected to the company. 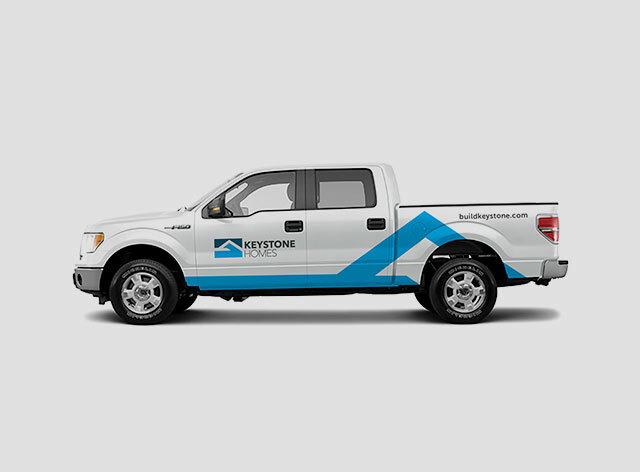 Keystone has received over 500 qualified leads since the rebrand in addition to increased website traffic and online inquiries. Through our efforts to establish graphic continuity, the Keystone Facebook page has grown exponentially. A modest 300 likes have become nearly 5,000 likes––a 1,643% increase in page growth. We invite you to look around our site. what we do and how we can ultimately help you.